Florida State men’s basketball is coming off a big victory over the Purdue Boilermakers on Wednesday night. 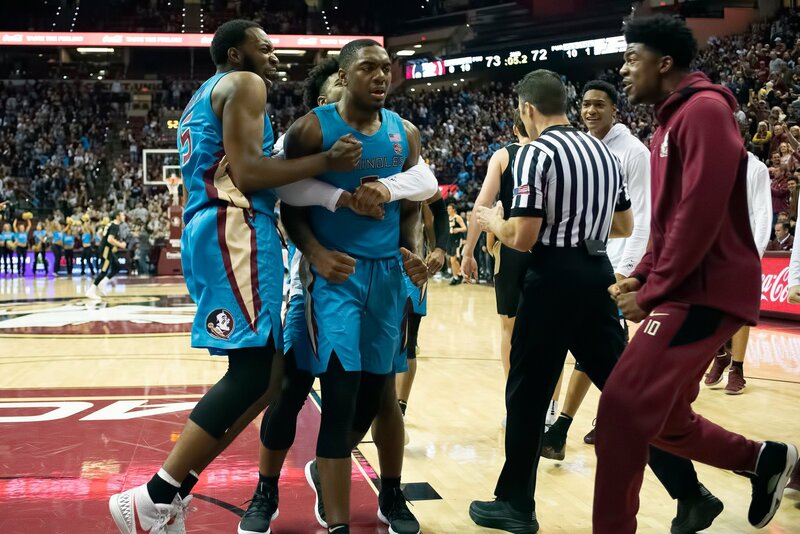 The Seminoles roared back at the end of the game to grab their second win over a ranked team, strengthening their resume and providing a confidence boost over the next few weeks. The Seminoles hope to close out 2018 with at least four more wins. That goal begins on Monday night against the Troy Trojans of the Sun Belt Conference. Not much stands out with Troy, but the Trojans do have an intriguing group of players whose versatility could pose problems for a Florida State team coming down from an emotional high. The forwards – Troy has an interesting group of forwards that power the team. The Trojans’ top three scorers are all forwards and they all average more than 10 points per game (Javan Johnson is the only one not listed above). Jordon Varnado and Alex Hicks are better options around the rim, as they carry the rebounding load with more than seven per game. Varnado also contributes three assists and one block per contest. The Trojans will be overmatched in plenty of phases in this game — most notably at the guard and center spots — but they could provide a challenge for FSU’s rotation. The Seminoles have chosen to go bigger recently and they will probably start out with the same lineup. Gray’s Increased Usage – RaiQuan Gray has played up to expectations in Phil Cofer’s absence. While he is still getting adjusted on the defensive end, Gray comes as advertised on offense with his ability to stretch the court. He has also chipped in some nice plays around the rim. It is becoming obvious that the more minutes he receives, the more comfortable he gets. His size is going to be tested on Monday against the aforementioned trio of Troy wing players. 22: That is where Troy ranks in fouls per game. The Trojans are a fairly disciplined team who do not turn it over all that much while also committing fewer fouls.